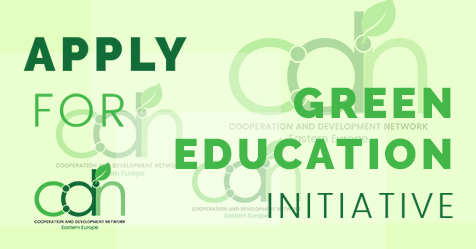 Cooperation and Development Network of Eastern Europe is happy to announce the call for participants for the International Activity (Training for Trainiers) that will take place from 24-29 April near Istanbul, Turkey. equip them with capabilities to conduct local activities on the spot with the goal to improve their communities (act local). Following the first, introductory training organised by CDN with the help of the Dutch Green Foundation in Kiev from 14-17th September 2017, the second stage of our Green Ukraine training series took place in Lviv from 30th November to 3rd December 2017. The topical training, which focused on political ecology as a concept and its wider picture gathered 24 people from all over Ukraine, Belarus, Moldova and Russia, some coming from the first event, while the others were newcomers. The preparatory team was happy to welcome Uladz Stashkevich and Iryna Burbylo among their members, both of whom attended the first training on a general introduction to Green politics as participants. people from Croatia met for the second time to learn and discuss the EU’s history and institutions as well as current and relevant issues addressed on the EU level: Brexit, GMO production, consumption and trade, and finally, the most burning issues – climate change and migration.